The Lok Sabha Secretariat is an independent body which functions under the ultimate guidance and control of the Hon'ble Speaker, Lok Sabha. 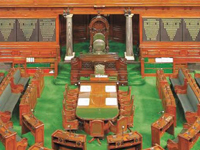 In the discharge of his Constitutional and statutory responsibilities, the Speaker, Lok Sabha is assisted by the Secretary-General, Lok Sabha, (whose pay scale, position and status etc. is equivalent to that of the highest ranking official in the Government of India i.e. Cabinet Secretary), functionaries of the level of the Additional Secretary, Joint Secretary and other officers and staff of the Secretariat at various levels. Officer at the level of Additional Secretary/Joint Secretary is assisted by an officer of the rank of Director or Deputy Secretary and equivalent. At the middle level, officers of the rank of Under Secretary and equivalent are placed and at the lowest level, officers in the capacity of Executive Officer/Senior Executive Assistant/Executive Assistant and equivalent are provided. Besides, clerical and Secretarial assistance is also provided in addition to Messengerial service. The Service consists of officials manning the Legislative, Parliamentary Committees including Financial Committees, Protocol, Executive and Administrative Branches of the Secretariat. 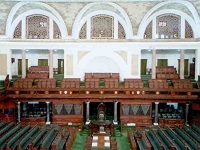 The Legislative Wing deals with the work connected with the business of the House and includes Parliamentary Notice Office, Table Office, Legislative Branches, Question Branches etc. 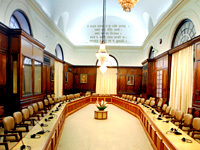 The Parliamentary Committee Branches deal with the work connected with various Committees and includes Public Accounts Committee, Estimates Committee, Committee on Public Undertakings, the Departmentally Related Standing Committees etc. The Executive and Administrative Wings deal with various administrative and general matters and include Administration, Works and General Branch, Budget and Payment Branch, Pay and Accounts Office, Members' Salaries and Allowances, Members Services etc. The duties attached to the posts in the Legislative, Executive and Administrative Branches are deskbound and/or field oriented. Officials in the Committee Branches provide secretarial assistance to the Parliamentary Standing/other Committees. Officials in the Protocol related Branches may have to perform field/liaison work for organizing Conferences, Meetings and assisting visiting Indian/Foreign dignitaries. All the Officials in the LAFEA Service are also liable to be transferred amongst any of these Branches in the exigencies of parliamentary administration. (ii) The Library, Research, Reference, Documentation and Information Service (LARRDIS). 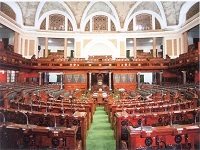 The Service is charged with keeping Members of Parliament well informed of the day-to-day developments in India and abroad by maintaining an up-to-date and well-equipped Library along with efficient research and reference services. The service provides reference/research material on legislative and other matters coming up before the House, so as to enable the Members to effectively participate in the debates. It prepares background notes, Information Bulletins, Research Notes etc. for the use of Members of Parliament as also Briefs/Research Notes etc. for parliamentary delegations going abroad for IPU and CPA Conferences etc. 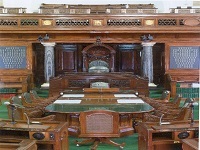 as well as for other Parliamentary Conferences held within the country. Besides, the Research Service also undertakes periodic studies/projects and brings out books and other publications on areas of interest to parliamentary institutions. The Service consists of five divisions viz., Library, Research, Reference, Media & Public Relations and Parliamentary Museum and Archives. Various Wings of this Service inter alia include BPST, Parliamentary Affairs Wing, Reference Wing, Documentation Section etc. 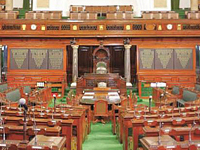 Parliamentary Reporters under the Verbatim Reporting Service perform the duties of verbatim reporting of the Proceedings of the Lok Sabha/Parliamentary Committees/Seminars/Talks organized by BPST/IPG Sessions. The officials in this Service provide Secretarial and Stenographic assistance to the officers of the Secretariat. The nature of work performed broadly includes taking dictation, transcription, typing, attending to telephone calls and visitors besides keeping important and confidential records for the officers whom they serve under. The officials in this Service provide Proof reading, printing and book binding services to the Secretariat. 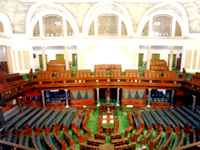 The Service provides simultaneous interpretation (English to Hindi & vice-versa as well as regional languages) of the proceedings of Lok Sabha/Parliamentary Committees/Conferences /Seminars /Foreign Parliamentary delegations etc. The officials in the Parliament Security Service are charged with maintaining Security within Parliament House Estate. The officials in the Housekeeping wing undertake sanitation services to keep the Parliament Estate neat and clean. The officials in this Service are engaged in work relating to Translation/Editing/Vetting and preparations of Synopsis of Lok Sabha debates, Committee Reports, proceedings and allied work. This Service inter alia includes Editorial Branch, Synopsis Branch, Rajbhasaha Prabhag, Translation (Committee) Branch, Translation (Parliamentary Papers) Branch etc. This Service consists of Group 'B' and 'C' officials providing secretarial assistance. The incumbents in this Service are from the Group 'C' cadres and provide messenger/attendant services.